Here I've set up a simulation in an Excel spreadsheet for the best possible bet you can make it craps, which is betting $5 on Pass and then taking maximum odds: 15, 20, or 25 dollars depending on the point thrown. This spreadsheet shows the change in your bankroll starting from zero over four hundred bets. This little red line shows your average result losing $28 over four hundred bets. Each time I press the F9 key, I generate a new random sequence of four hundred bets and graph the results. Now here you see a session where over less than 200 bets, I've won a thousand dollars. That's a pretty good result, and of course you see the opposite. I'll press it a few more times ... Another good result. I'm having uh some lucky sessions here. Okay, here's a reasonably bad one. It's winning for a while and then a steady decline to nearly $1,000. I expect the results to be above this red line and below this red line about an equal number of times because that's .. the red line is the average result. 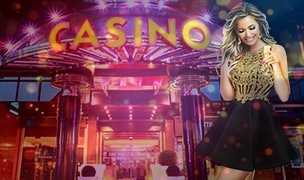 Now you can see that if you bring say five hundred dollars to the casino, you're taking a lot of risk because you could very easily get wiped out, like right here. That's a five hundred dollar loss and you have to stop playing. So if you don't want to take that much risk and the minimum bet is five dollars you can bet less on the odds bets or not even place odds that's just the five dollars on Pass, I have got a simulation for that. Select data, pass bet only, okay. 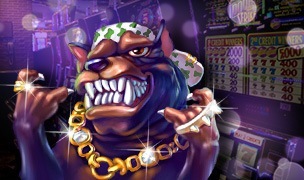 Press f9 some more and you can see the much less volatile, and also much less exciting, change in your bankroll as you win and lose five dollars at a time. 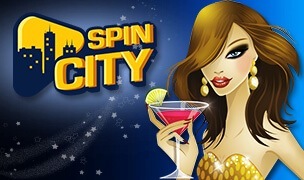 Spin City – 100% and 100 Free Spins. Claim Them Now!